Here’s the best of what the sporting world had to offer. 1. “Identifying a racist is often easy enough. Rather self-defeatingly, they tend to give themselves away in the time-honoured and fool proof method of doing something racist. “The West Ham fan shouting Islamophobic abuse at Mo Salah as he prepared to take a corner on Monday night, definitely a racist. Whoever made monkey noises at Tottenham’s Renee Hector during a Women’s Championship game against Sheffield United last month, a racist. The Independent takes an inside look at what it really means to support a football team. 2. “When Liverpool’s official account tweeted the starting XI selected by Jurgen Klopp on Monday night, it provoked a wave of abusive replies from those purporting to be supporters of the club. The principal subject of their disdain was Adam Lallana, an England international picked to play in central midfield due to injuries suffered by Georginio Wijnaldum and Jordan Henderson. 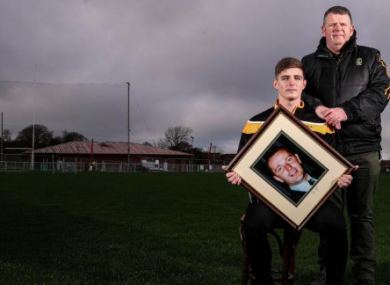 Having their clubhouse burned down 13 times only served to galvanise an indomitable spirit in the Croke Park-bound club – Denis Walsh visits the club. Cork City’s Lisa Fallon opens up in an interview with the Guardian. Email “How St Enda’s put the Troubles behind them and the week's best sportswriting”. Feedback on “How St Enda’s put the Troubles behind them and the week's best sportswriting”.